camping, english (camp), evolved from English campingyan, from the name of the ancient Roman garrison “stationed”. Modern camping activities originated in the United States, and its development history article can be found in the article (from 1855 US outdoor camp development history was like this). 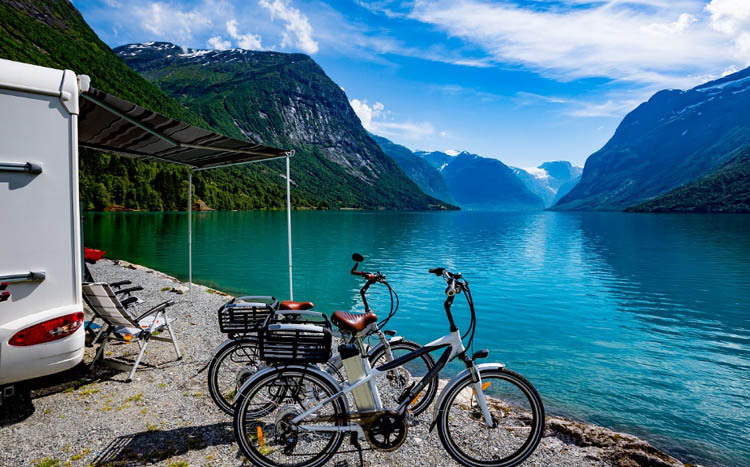 For outdoor travel enthusiast, there is short-distance short-term mountain climbing or walking, there are also have long-time long-distance activities. One day short distance outdoor activities Needless to say, long distance outdoor activice naturally need wild camping. 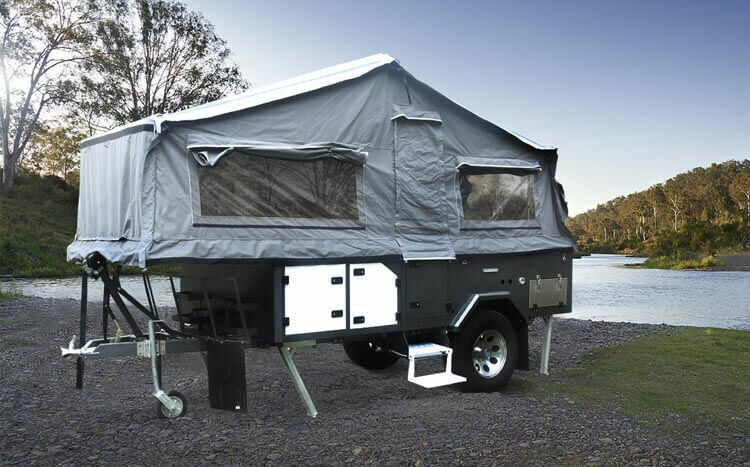 So for a new camper Trailer lover how do we choose a suitable camp when we go into nature? 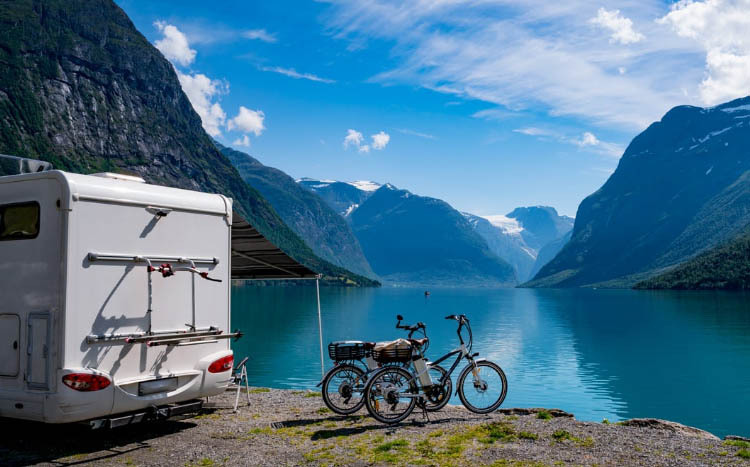 To choose a camper trailer campsite, first of all is consider the safety of the campsite – that is, to stay away from danger! 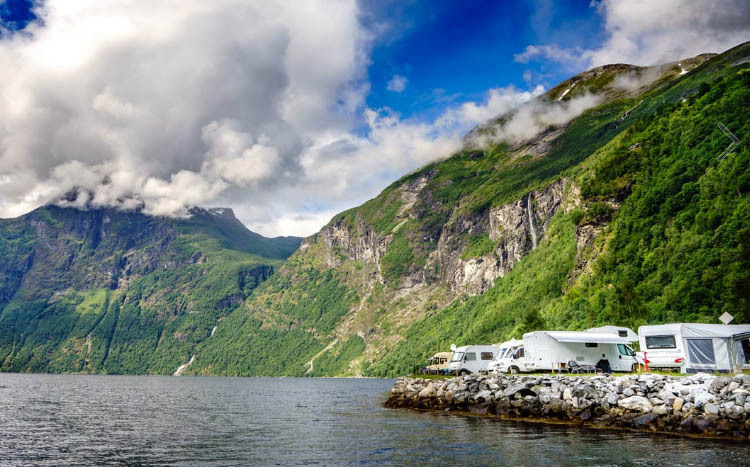 Second, under the stay away from the danger and in the premise of security, then you could consider the comfort of camp sleep and catering, entertainment, washing, health and other functions of the convenience of life. Thirdly, we also need to choose the local environment to minimize the impact of the camp, follow the LNT (through no trace) environmental rules, leave a lowest hit comp. If the camp set under the cliff, once the wind blowing on the mountain, the stone and other objects may be scraped to cause accidents; especially the soil loose slope of the edge, or very steep weathering broken slope, At night when the weather changes from the stormy storms, it’s easily lead to landslides, landslides, avalanches and other collective disaster. In Hainan Island, there have been many mature coconut accidents when people have rest or camping under the coconut tree; outdoor camping wearing a yellow eye-catching clothes or spray pollen flavor perfume it’s also dangerous, easily be attacked by Hugs. 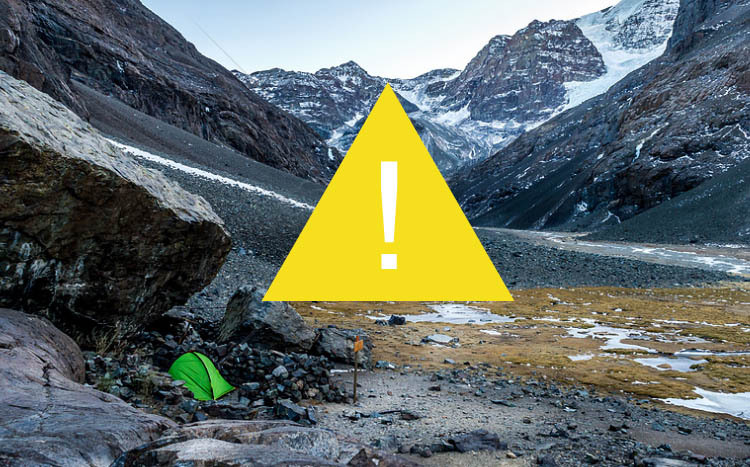 3) Do not put up a tent at the top of the mountain or under the tree, to avoid lightning strikes. In the rainy season or more lightning area, the campsite must not choose in the high ground, under the tree or isolated on the ground, it is easy to move to the lightning; some lightning is not always from the height “fried”, from the side flash “Thunderbolt” can also cause people to die. 4) Do not live in the animal and animal water points, to avoid animal harassment and injury. Animals living in this land for many years is the owner of this land, we are just passing by, to the “owner” guest guest and stay, let the road and less harassment is the best choice, but also an outdoor basic character. Some rivers have a power plant upstream, During the impoundment period, the river is wide, litter water flow, once open the gate, that will be full of floods; river turn inside, in the sudden flood is more likely to be dangerous; camping in the sea (river) shore pay attention to observe the traces of the flushing of the tide, the campsite must be higher than the water mark traces, calculate and pay attention to the day tide fluctuations high and low time. Upstream rainfall and reservoir discharge the water, flash floods raid will lead to collective disaster; some streams, usually water flow is small, but once come to rainy day, there may be flooding or flash floods, especially in the rainy season and flash floods area should be more attention. Choose in the middle of the river (river) valley or the middle of the protruding boulder or highland platform camping, due to the upper reaches and heavy rain, every year by the hills washed away by the drowning death have occurred. 7) camping in remote areas, to understand and follow the local customs, be sure to pay attention to security warning situation. Different place has different Customs and taboos, when we go to the remote region to participate in outdoor travel, in the choice of camping for outdoor life, be sure to understand and respect the local customs and culture, the need to learn more about the planned camps in the past conflict of public conflict and other circumstances, to avoid such risks Brought casualties and property damage. 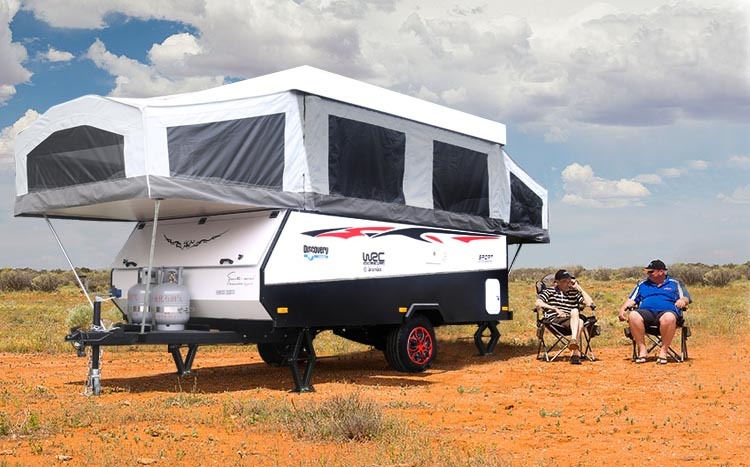 8) Except the above factors need to consider, there is a key factor need to think about, that is, what kind of a camper trailer you need to be taken with your camping activities. Different size trailer occupy different size campsite. If it is a pop up trailer, the forward folding trailer, this style camping trailer occupied area is relatively small, and the construction process is simple and quick, very suitable for new camping car enthusiasts to use. 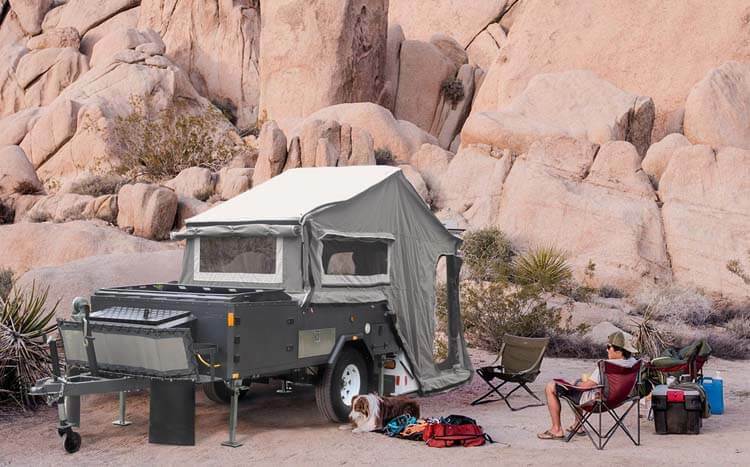 If it is a rear forward folding trailer, or soft floor camper, this kind trailer will need a relatively large area,usable area is bigger, in the wild it will need a large and flat place to place. Have a suitable camping trailer, choose a suitable campsite, to make an unforgettable camping memory. 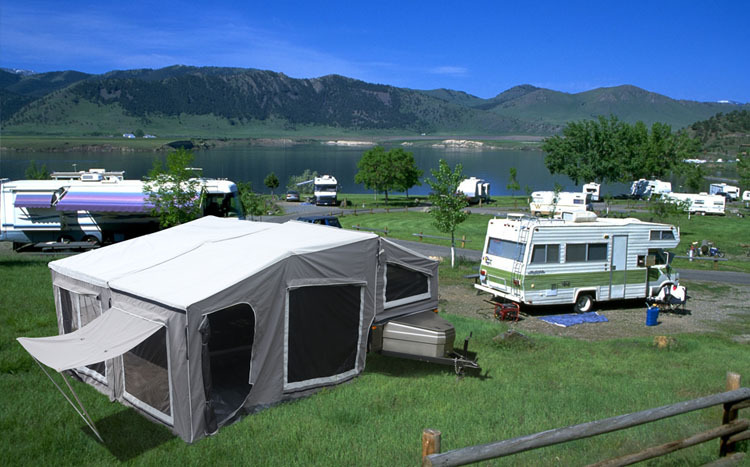 How to choose a campsite for camper trailers?we provide the following reference.